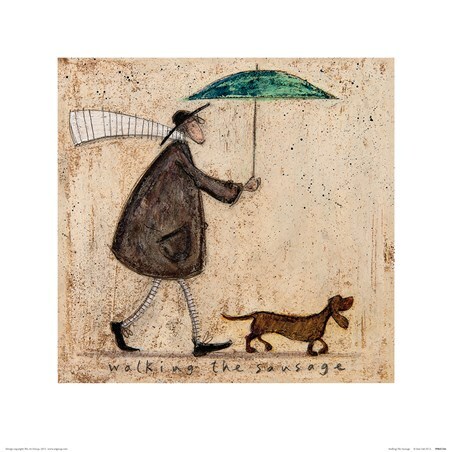 Sam Toft‘s whimsical prints featuring the characters Mr Mustard, his wife Violet and their pet pup Doris, are popular among the art world and a have become a firm favourite nationwide. 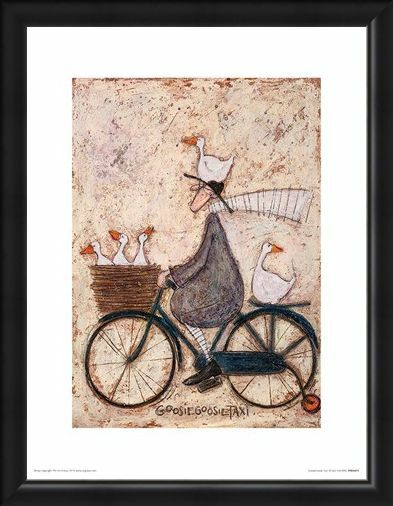 This print, ingeniously named ‘Goosie Goosie Taxi’, features a number of feathered fellows hitching a ride from Mr Mustard, whilst he enjoys his leisurely bike ride. 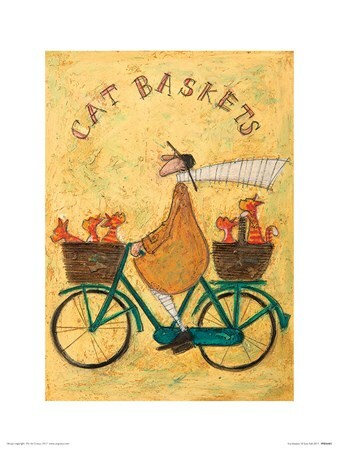 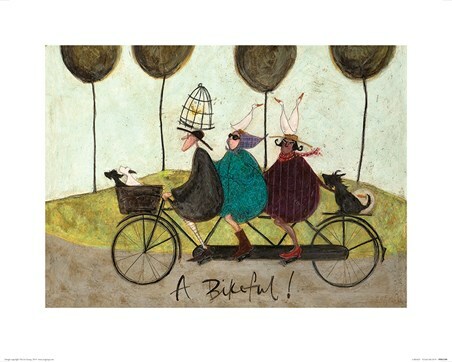 Whether this is your first Sam Toft print or you’re adding to a collection, this comical scene is sure to look amazing in any household. 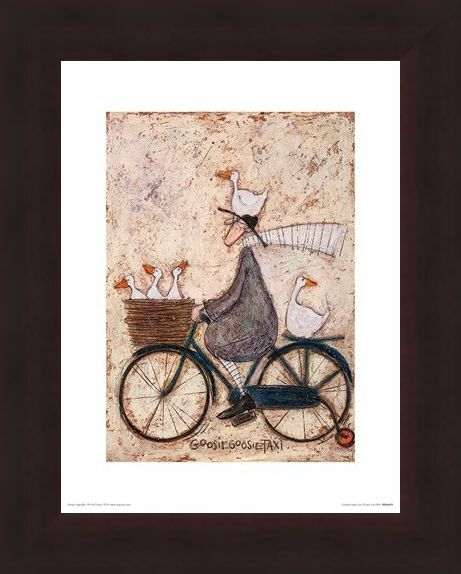 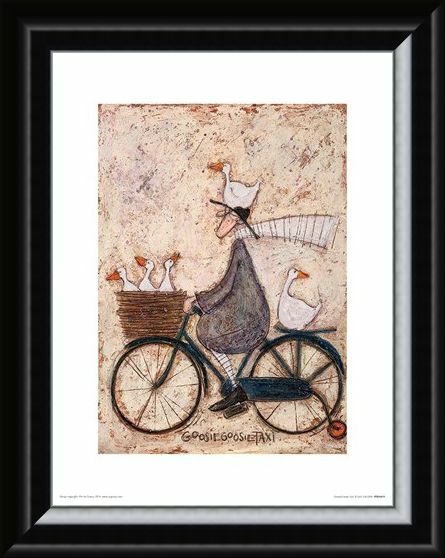 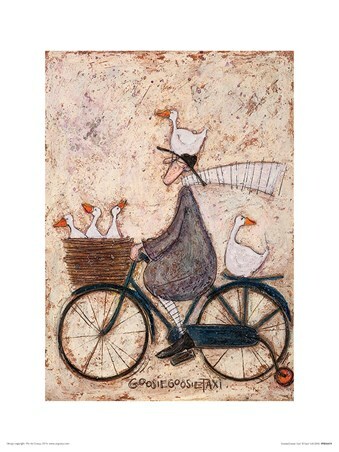 High quality, framed Goosie Goosie Taxi, Sam Toft print with a bespoke frame by our custom framing service.